A baby who is looked after in his or her own home will have all of his or her specific supplies, equipment and entertainment items on hand, but a baby who is looked after a crèche or nursery will need to bring a few items with them every day. For the most part a crèche or nursery should provide big ticket items like cribs, high chairs and other furniture, but there are smaller items that each baby may require for him or herself. If a crèche or nursery is your preferred method of childcare then start by asking about items that they suggest you pack each day. If no such list is forthcoming then stay calm and think through the items your baby typically uses in a given day. Things like clothing, food or liquids, personal care items and entertainment items will likely spring to mind. Childcare providers are usually very good about telling parents up front what they do and don’t provide, so if your crèche offers a baby care list of things that parents can pack use this as your starting point. These lists are a gold mine of information about the baby care items that will be shared by the children at the crèche and the items that the crèche suggests parents supply specifically for their baby. 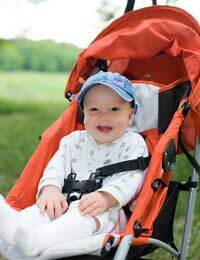 If you have a concern about an item that appears to be shared among children and would prefer to provide your own, be sure to discuss this concern with your childcare provider before going ahead and packing the item. There may be good reasons that the childcare provider prefers for an item to be shared, but they may also be fine with you providing your own. Talking before packing will help everyone stay on the same page. It is usually advised that parents pack at least one full change of clothes for babies and children heading off for a day at the crèche, but parents more than anyone will know how many articles of clothing their child gets through in one day. Many childcare providers even allow you to send in a supply of clothing rather than having to pack fresh outfits each day, so find out your options and then do what works best for you. Don’t forget to include extras like socks and bibs, and supply a fresh plastic or other type of carrier bag for transporting soiled clothing as required. If you prefer your child to meet you in their pyjamas at the end of a long day then be sure to include them as well. Some childcare providers supply food and formula for babies and some do not. If your baby feeds exclusively on breast milk then you’ll need to provide this anyway. Before packing full meals for your baby, find out what is offered by the crèche. If you have concerns about this food, discuss them. Parents who do send in food or liquids for their child will need to make sure to pack them appropriately, label all containers and store them appropriately. If your child must eat specially prepared food due to an allergy make sure that all crèche staff understand this and know which precautions to take to keep your child healthy. Again, some childcare providers supply personal care items like nappies and wipes and some do not. Some children may also require a specific brand, fit or formulation so parents have no choice but to pack up these items each day. If there is a health reason that your baby must use their specific items then make sure that all crèche staff are aware of the situation. If you prefer your child to wear sunscreen at all times or if your child needs moisturizer or soothing balm then you’ll want to explain the situation and pack these items as well. Finally, there are likely some items specific to your baby that are purely for entertainment. A special plush toy, a particular book, a favourite rattle – obviously a baby could still live without these items but if they add enjoyment to his or her life then why would you want them to? Ask your crèche about their policy on accepting entertainment items for specific babies. Respect these policies as they have likely been implemented after great thought and in the best interest of all of the children. If you can not bring your child’s own entertainment items then try to find something at the crèche that will capture his or her attention instead. Packing a child for crèche or nursery can feel a lot like moving mountains. To make this task as easy as possible, find out what is available at the facility so that you don’t pack the same items. Once you do know what you need to bring, make an easy check list so that you don’t have to reinvent the wheel every day. Surely the best thing is to talk to the nursery beforehand and find out what they provide and what they're willing to let your child bring. Some will have quite strict rules (as I've discovered) whilst others will be more open. Don't try and bend those rules; they're there for a reason. If you don't like them, then you probably need to find a different nursery for your baby. Know everything beforehand so you and your baby won't end up having some surprises when nursery time starts.